about our top-notch customer support team. Here at ExportFeed, we strive to provide professional, fast, and friendly service to each and every valued customer. 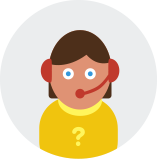 Our technical support team is happy to assist you with any feed-related questions via live chat, ticket submission, email, and even phone. Calvin and Sushma are two of our top professionals who have assisted many customers. My name is Calvin. 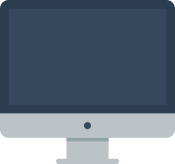 I am the lead tech support for Export Feed (previously Shopping Cart Product Feed) and the main contact for most data feed and plugin issues. Together with my colleagues Sushma and Sadi, we are driven to provide not only excellent customer service, but also valuable feedback to better enhance your sales. Thanks for stopping by and feel free to shoot us a message. With the unified force of experience, intelligence and passion, I have been continuously supporting you all for making your work easy and fast with ExportFeed. Your satisfaction has always been the main priority and driving factor for me to help you grab maximum benefits of our features. Submitting a ticket is simple. You merely enter your name, email, and description of your question, choose the priority level, and then our superior support staff will deliver the best resolution to your questions and resolve any issues quickly. With our Live Chat option, you can enter your details and immediately send it to a customer support staff member who is eagerly standing by to assist you. Live Chat is an invaluable service for your business! You can have confidence that no matter what your question is, our cutting edge support will go above and beyond to help you to successfully utilize your product feeds and accelerate your business.